Shop locally for the best cheese tortellinis that you can find! In a large skillet heat veggie oil over medium heat. Add onions, celery and garlic and cook until translucent. Add all remaining ingredients and simmer sauce for 30 minutes. 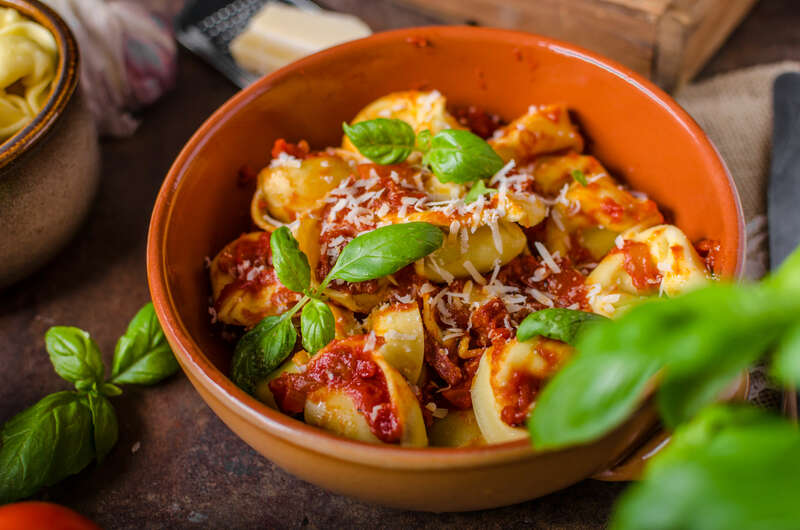 Add tortellini to tomato sauce and serve!